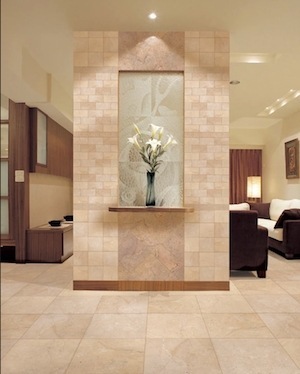 Tile is a great option for any room in your home. With several decades of experience, Aleman Carpet is a known and trusted flooring company in New Jersey. We are dedicated to achieving full customer satisfaction, and if you're interested in our tile, we won't stop until we've helped you find the perfect flooring for you. There's no reason to avoid fixing up your floors for any longer now that Aleman Carpet is here! Get a free quote in Woodbridge, Perth Amboy, Edison or nearby today! Choose from a vatiety of colors and styles for your tile flooring. Tile works from contemporary to classic. With so many colors, patterns and sizes to choose from, there are countless ways to make use of tile in your home. A long-time favorite in bathrooms, tile is just as suitable in kitchens for its ability to resist spills. And you can lend other living spaces throughout your home a touch of style, ranging from contemporary to traditional. 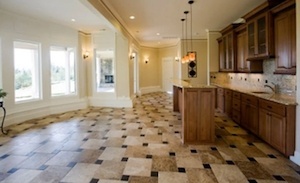 In business since 1947, Daltile is a leading tile manufacturing and distributing company based in Dallas, TX. They are committed to exceptional products, customer service excellence, and green solutions. Daltile's tile floors come in a variety of materials and styles, including ceramic, porcelain and much more. Because of their vast product offerings, you can be sure to find something that suits your tastes and budget. No matter what rooms you're trying to floor, Aleman Carpet has the products you need for an attractive yet durable home - and our tile is no exception. Ready to get started? Schedule your free estimate for flooring installation today in Perth Amboy, Woodbridge, Edison and nearby!